“BAGWIS: Birds of UP Diliman” is a photo exhibition of UP Diliman’s avian treasures which aims to promote awareness, appreciation, conservation and pride of place. It is on view from September 18 to October 17, 2013 (Monday-Friday, 10:00 am to 4:00 pm) at the University Theater Lobby, Osmeña Avenue, U.P. Diliman, Quezon City. The exhibit curated by bird watcher/photographer/writer and UP professor Dr. Reuel Molina Aguila is the second in the series of cultural and artistic projects which carry the "Pride of Place" theme. It features photographs of bird species found in UP Diliman, most of these were taken during the last five years with the participation of mostly UP Diliman photographers (faculty, and alumni). It also features "Pispis (an)", a process-oriented composition by Prof. Maria Christine Muyco (UP College of Music) that allows interaction and manipulation of bird sounds to create an "aviary world". Aside from Dr. Aguila, other contributing photographers are fellows from the Wild Bird Photographers of the Philippines (WBPP) Rey Sta. Ana, Alain Pascua (UP NCPAG Post Graduate Student), Prof. Agerico de Villa (UP CSSP-Philosophy), Dr. William Lim, Prof. Norberto Madrigal (UP College of Human Kinetics), Ven Rojas, Neon Tomas Rosell II, Dr. Armando Somintac (UP Natl Institute of Physics), and Adrian Constatino. 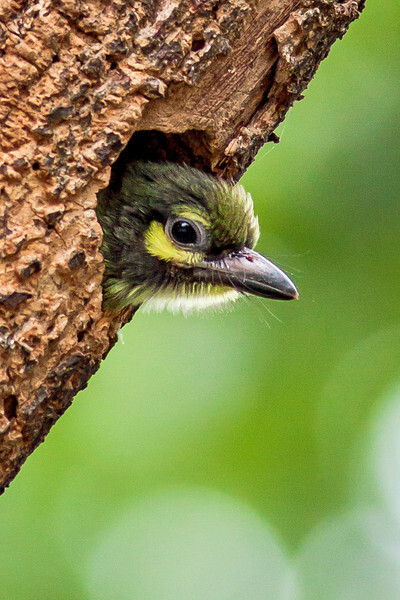 Here are Alain Pascua's photos of Birds of the University of the Philippines, Diliman, Quezon City.